It’s no secret, I’m not exactly a domestic goddess. 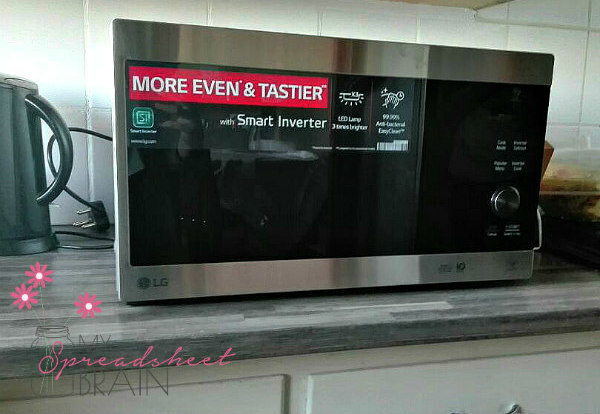 But when I got my hands on the new LG NeoChef Microwave Oven (with smart inverter technology, yo) I found myself all kinds of inspired! I stood there, staring at it’s sleek exterior, wondering what on earth I could make in it. And then I watched the LG NeoChef advert, where a very well spoken Daniel Les – world renowned ceremic artist – shows us how he bakes intricate hand-crafted pottery in his NeoChef. “Hey, I can do that!” I said out loud to no one in particular, because that’s how I roll. And that, my friends, is how I ended up making christmas tree ornaments in our LG NeoChef. Granted, it wasn’t an entirely smooth ride (because my cleverness forgot to remind me that an oven is an oven, so don’t put metallic bows in it maybe) but I am totally chuffed with the end result! Kari and I simply made a batch of salt dough with about 4 cups of flour and 1 cup of salt. After combining the flour and salt, we slowly stirred some water into it (key word: slowly! ), kneading at the concoction until the dough is formed. Once this was done, we grabbed some of our cookie cutters and got a couple of really cool shapes for our ornaments. 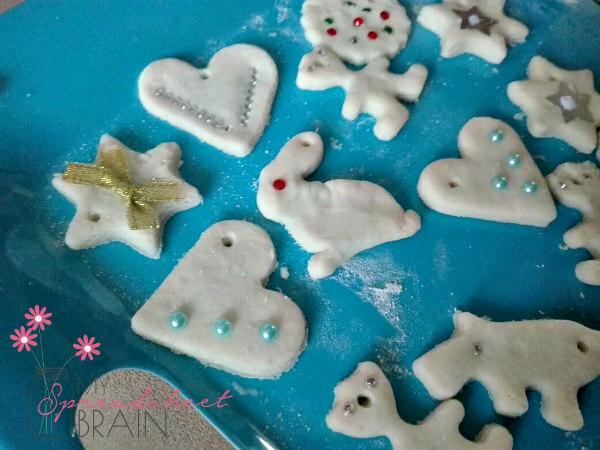 You guys, so the recipes I found online told me to bake my ornaments in the oven for at least 2 – 3 hours. I put these in the NeoChef for 20 minutes and guess what… it was too long! We put the second batch in for only 10 minutes! How’s that for impressive AND a time saver?! Okay, here’s where my cleverness failed me. 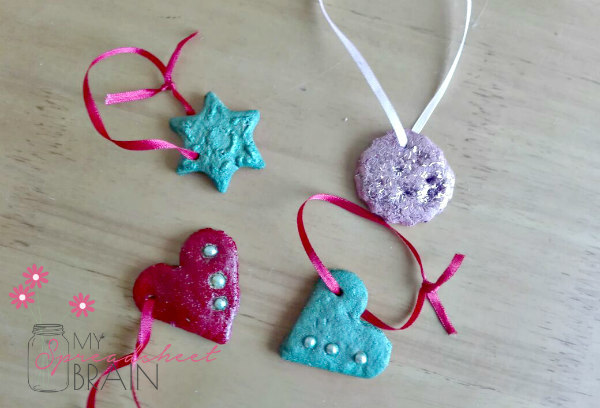 I thought that we could decorate the ornaments before sticking them in the oven. But alas, this did not work out quite as expected. But, all was not lost. 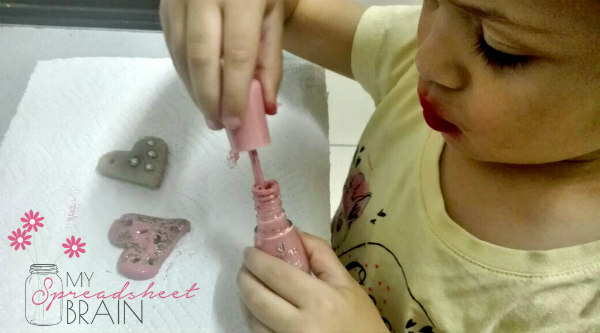 I remembered what my very crafty pal, JustEllaBella, told me about using nail polish to decorate your tiny crafts. And that’s what we did! – It has Anti-Bacterial EasyClean™ interior coating, which means it’s easier to keep your microwave oven clean and germ free. The coating gets rid of 99.99% of harmful bacteria from the surface. – The inverter technology is a real thing, yo! Like a super power… but better! Basically, it enables more precise temperature control. (Which is why Mr Les could bake his pottery in it!) This also prevents overcooked food and unthawed areas on your defrosted foods. – It has a legit interior LED lamp, which is three times brighter and more energy efficient than most premium microwave oven lights. 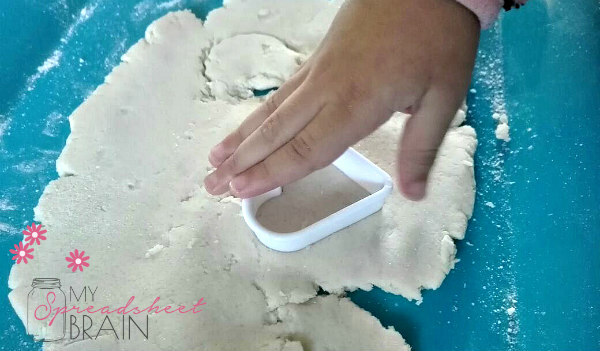 This means it’s way easier to see into the oven – no more stopping to check, simply peek in through the window! Disclaimer: The LG NeoChef was sent to me, but all the opinions and photos in this post are my own, I promise.